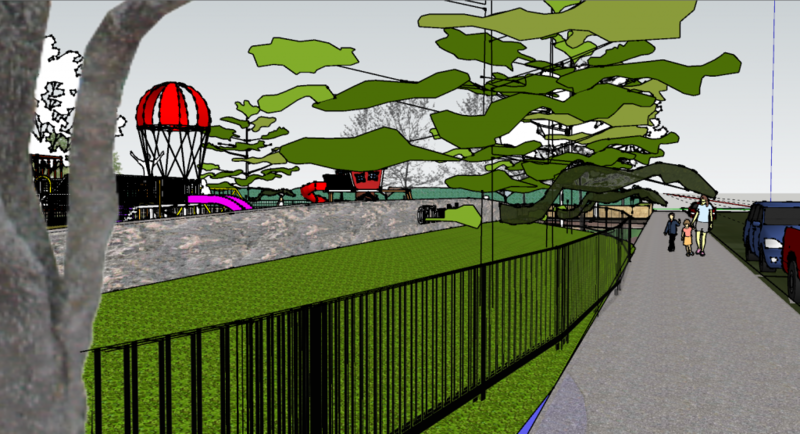 With 3D modelling of this park an aerial view of all the park elements are easily comprehended. . .
…and close-up views of intended recreational activity readily portrayed. 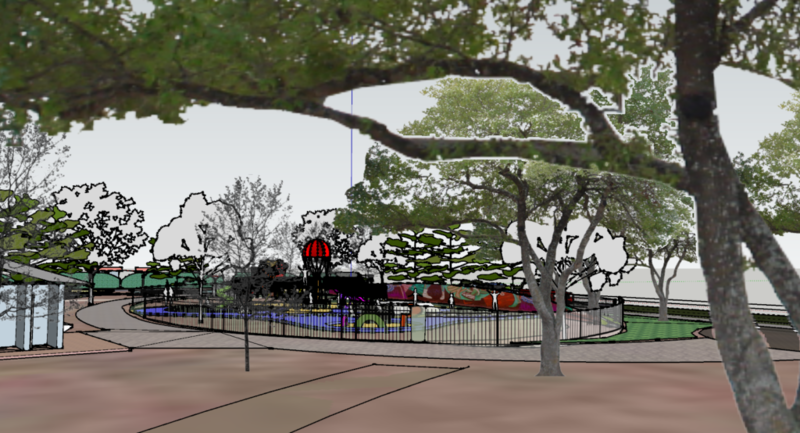 In this view the protected playground area is in focus while providing a sense of the overall park landscape. 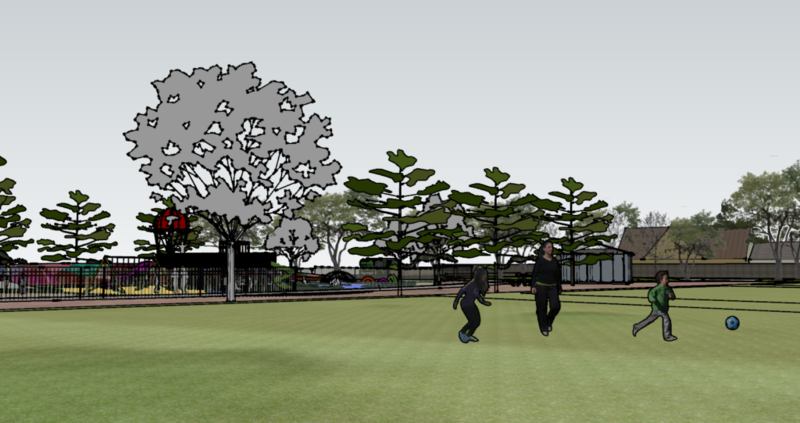 This 3D perspective gives a sense of approach to the park from a street-view.